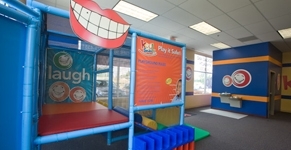 Parents should guide their kids in their first visit to dentist. They should prepare them in such a way that they will see dental checkups and visits as a must for dental care and not a thing they should fear. I’ve scheduled my little boy’s first general cleaning visit this summer and I’m getting him ready for his first real dental treatment. I wanted my kids to regard dental care as a vital thing to good health and nice appearance and that it should be done regularly. But before you subject your kids to regular checkups you should choose the right dentist for them first. Well there are things that we should consider before choosing your Kid's Dentist to ensure that they will get the best dental care in the years to follow. Remember that dental care should be a lifetime commitment just like your physical body care so following some guidelines in choosing should be of vital importance. First you should get referrals from relatives and friends who have consistent dental checkups schedule for their kids. You can also ask your family doctor, a good neighbour or someone who has a good knowledge of the good dentists in town. Then if you have found one that seems to suit your requirements you can ask information about how they administer the child’s check-up or treatment. Asking about their procedures and limitations can help you decipher if they can make your child feel at ease or be comfortable with the check-up. You can check their clinic if it has a good ambience and environment for a child not to be frightened of the visits. Then if everything points to a good dentist to your child you can feel assured that your child will continue to have strong and healthy gums and teeth. Just always remember that you can always change your kid’s dentist if the first visit didn’t go well. You always have a choice.